An extremely difficult task for the musician is to create his own unique style, which on the one hand would not be only recognizable after hearing the first few sounds, but on the other – ‘vivid’, allowing to change, transformate. 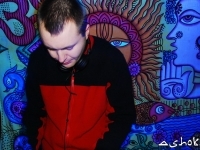 Aes Dana project, behind which Vincent Villuis hides, can certainly be counted among the artists who developed a distinct style on the scene of the chillout, downtempo and ambient music. 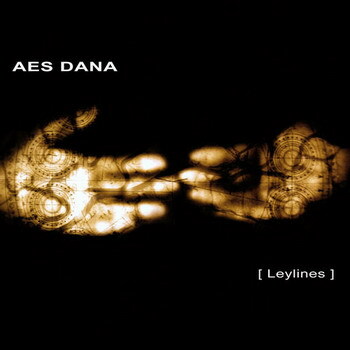 Quite recently because in June 2009 into the music market came a fresh, consecutively fourth album of Aes Dana with an interesting title -LEYLINES. On the Ultimae Records’ website you can find a brief explanation of the title: ‘For those who believe in them, Leylines are invisible lines of forces that connect centers of geomagnetic power to one another.’ The album cover may additionally provide some guidance on the words LEYLINES – two palms and more specifically their inner sides touching each other with fingertips. These hands are full of lines, connections, strips, characters, signs, circles in a way reminding the Mayan astronomical calendar. For me, they are the lines of life which are traces of some important and less important events, meetings with some unusual people, unexpected returns; maybe they mean roads passed through the lifetime or perhaps the future fate? But let us get to the music, which can be found in LEYLINES… On the Ultimae website there is a mention, which aims to link the title with tracks, and what is more – an attempt to clarify the intention of Vincent Villuis: ‘Throughout the album, the artist builds upon the concept of connections that exist between various musical genres and influences, interlinks between the elements surrounding us, the feelings of life.’ It sounds nice, but I do not know if finally that is true, maybe I did not get this message, even though I have listened to this album a few times. For sure LEYLINES as a whole is the album which is teeming with life, here we can feel the impact of the elements, often the tracks are strong, with a clearly outlined melodic line and a ‘fat’ beat. Aes Dana is bombarding us again using some dark backgrounds which are very typical and entirely give the specific climate, associated only with Villuis. 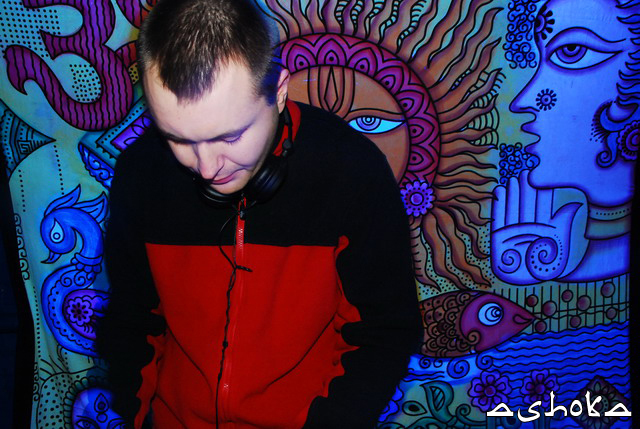 Let me put it bluntly – so far I have mixed feelings about the fourth album of Aes Dana. On the one hand, I get what I expect, on the other – not. I will try to explain it…. For sure among the tracks composing the whole album I have found those, to which I will return often – inter alia the track ADONAI knocked me down (especially a powerful strike about the seventh minute and the ending), LYSISTRATA (a beautiful chill, deep, spinning, encouraging to dance; probably it is my favourite track on this album, though in my opinion the title – LYSISTRATA does not quite fit here because I associate it with the comedy of Aristophanes and I automatically compare the content of the track with the content of this comedy). I like the track ALIGNMENTS which starts the album and immediately after its first sounds you can feel the hand and musical imagination of Villuis; the title track – LEYLINES is fairly typical for Aes Dana with sounds which came straight from the space and can be heard in the background. Unfortunately, although I find some stunning tracks, the beloved Aes Dana style, which corresponds with my taste, I can not avoid comparisons to SEASON 5 or MEMORY SHELL and I still feel that Vincent has forgotten about something, he did not particularly surprise me and did not cope with my requirements. Do I maybe expect something impossible? I think that I do not, because as Villuis has shown more than once that he has got a lot of skills and I think that perhaps the best will come in the future. The album LEYLINES is a really good one, it is worth attention, it has a great climate, maintains a similar tone, themes. It is consistent, but as for me, lacking in something. Or perhaps am I too picky?